UPDATE September 9: Charges have been filed. UPDATE September 8, 11:50PM: The suspect in this case was transported to an area hospital for treatment of an unspecified condition shortly after he was taken into custody Sunday night. He remains hospitalized under police guard. 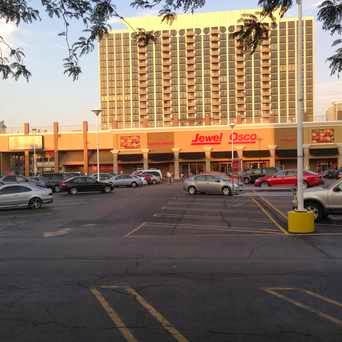 A 60-year-old woman is in critical condition after being intentionally set on fire in the Jewel-Osco parking lot at Montrose and Sheridan around 9:15 Sunday night. Police believe the incident is domestic-related and the woman's 66-year-old husband is in custody. Initial reports indicate the husband poured rubbing alcohol on his wife, then set it ablaze. The victim was transported to Illinois Masonic Medical Center with burns across both sides of her upper body, from waist-level to her face. Masonic doctors were preparing her for transport to Stroger Hospital late Sunday. CWB is withholding the husband's name until charges are approved. He is an amputee and is confined to a wheelchair. Chicago Police have classified the incident as an aggravated domestic battery in case HX419727.